Please help! 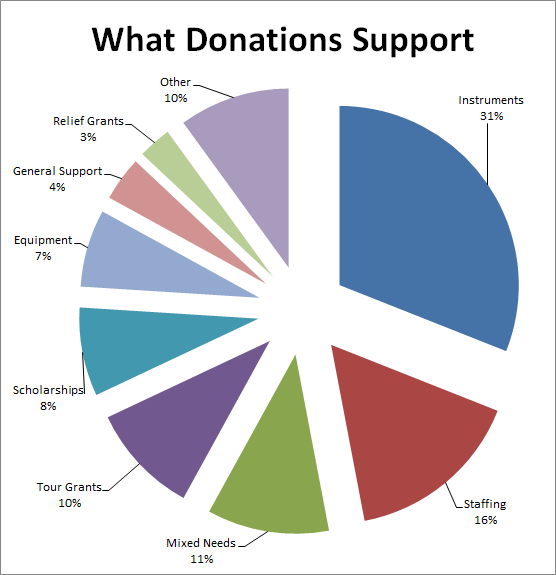 Your tax-deductible donations to the Mockingbird Foundation fund music education for children with almost no overhead: We keep administrative costs below 1% of net proceeds by having no salaries, paid staff, or office. For each dollar you donate, essentially the entire dollar goes to fantastic organizations that benefit greatly from whatever generosity you can muster! 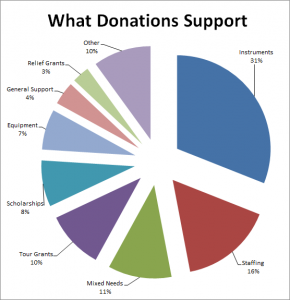 And as demonstrated by the diverse set of outstanding recipients of the grants awarded to date, the Foundation applies a rigorous review process that insures your donations are wisely used to support high quality, innovation music education programs. Online donations may be made via Paypal to [email protected], using either a Paypal account or a credit card, using the button to the above right, one of the subscription options below, or directly at paypal.me/mockingbird. Online donations may also be made via Dwolla, or via Facebook Causes. Checks may be mailed to the Mockingbird Foundation at 12407 Willow Grove Court, Moorpark, CA 93021-2758. Employer matches may be available to you, and we are happy to provide the Foundation’s TIN/EIN (16-1529562) and 510(c)3 determination letter for their approval. You can also round-up credit cards charges via BStow (now Cheerful Giving). Acknowledgments will be sent by postal mail in instances where no email address has been provided, and by formal email in all other instances. For donors acknowledged via email, the Foundation will be happy, upon request, to provide a postal letter for tax purposes. Acknowledgments are also made via this website, unless anonymity is requested, in specified increments. 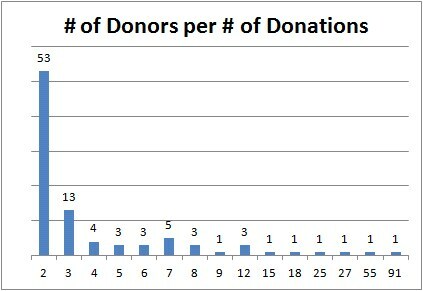 * Figures current as of 11/19/18; Chart current as of 8/11/12.